Last week I featured some twists on traditional Thanksgiving side dishes. This week I’ve included some better versions of holiday desserts, and both are dairy- and gluten-free! No added sugar to boot. Enjoy! 1 1/2 cups pumpkin puree (you can make it yourself by boiling or baking a pumpkin (sugar pies are the best, don’t use the skin) and then pureeing it) or use canned organic pumpkin. Preheat the oven to 350 degrees. 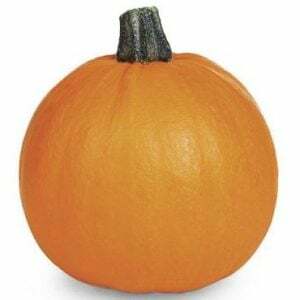 In a food processor or blender, combine the pumpkin puree, xylitol, molasses, vanilla, cinnamon, ginger, nutmeg, allspice, arrowroot, and coconut milk, in batches if necessary. Process until the mixture is well combined and smooth. Grind pecans and rolled oats in a blender. Mix all other ingredients together and press into a pie pan. Pour into the pie crust and bake for 30-40 minutes, or until the filling has firmed up. Sometimes you will see the filling start to form cracks in it, which tells you it is getting firmer. Let cool. Serve with raw cashew cream (google and you get many options for recipes). I adapted this recipe from nutritionist Darshana Weill. Remove pits from dates and chop. Combine walnuts and dates in food processor. Process until well mixed and ground, but not smooth, about 40 seconds. It should be a coarse texture when done. Press evenly into a 9” tart pan. Set in refrigerator while making the filling. Slice apples by cutting into quarters. Cut out core and slice crosswise in ¼ inch thick slices. Place apples in a large skillet with rest of the ingredients and cook for about 10 minutes, stirring frequently on medium heat. Remove apples with a slotted spoon from hot pan to a bowl and cool completely. Reduce liquid to about half the volume and cool separately. Spread apples evenly over crust. Brush syrup over apples if desired. Can be served right away or will keep in refrigerator until needed. Keep tart covered in refrigerator. Top with raw whipped cream if desired.